I am interested in novelty. I guess that is the equivalent of saying “I am a human being,” which is not, after all, very novel. There are six and a half billion of us careening about the planet. Regrettably, we do not all possess compelling stories. My trip to Wal-Mart lacks the two essentials for interestingness. To be interesting today a unique thing must happen to a regular person or anything must happen to a “famous” person. While my trip to Wal-Mart does not meet the threshold of interest, Britney Spears’ trip to Wal-Mart very well might, as evidenced by the newspapers. On the other hand, for a story about me to rise to the level of an “interesting story,” I must be killed by a falling meteorite on my way to Wal-Mart. Worth it to you, perhaps, but not to me. The story I am about to relate has, I think, everything one would desire in an interesting story, and yet, I suspect, many of you will never have heard of it. Though it did occur some forty years ago, time has never been a barrier to a story achieving “interestingness.” We are still entranced by the soap opera that was the Tudors and movies about World War II are too numerous to count. I think it may be a factor of geography which has kept this interesting story from most of us. It is part of the stuff I’m interested in. It may fascinate you, too. Judge for yourself. The story begins on a warm Summer day in 1967. Five old friends were out for a drive along a familiar stretch of Pacific coast. Their purpose that day was to witness the passing of a famous sailor engaged in a global circumnavigation. His boat was projected to pass near a headland adjacent to the large bay. Near the headland facing the open sea lay a stretch of sand called Cheviot Beach which they all knew very well. The beach was a pretty spot and a perennial favorite for skin diving and snorkeling. It had, however, a reputation for rip tides and strong currents. Around noon the friends stopped at Cheviot to take in the view. One of the beachgoers that day was a distinguished looking 59 year old man with striking silver hair. He possessed a dignified bearing and an obvious confidence. Despite showing a bit of the roundness that comes with late middle age he was quite physically fit and a good swimmer. Family videos and photos often showed him spear-fishing or free diving, sometimes in the company of beautiful young women. On this fateful day he decided to go in swimming. His friends attempted to dissuade him. The surf was heavy that day, they argued and, after all, the man was recovering from a shoulder injury for which he had been taking painkillers. Furthermore, earlier in the year, he’d had a skin-diving accident of sorts resulting from a leaky snorkel which necessitated a rescue by friends. Nevertheless, he was a man’s man and a leader and he dove into the waves. After a short time in the water the man slipped beneath the surface and did not reappear. The group on the beach was probably not worried immediately. Their friend was known for his “incredible powers of endurance underwater.” As a spear-fisherman and free diver he often lingered among the corals. As seconds became minutes, though, the group became frantic and began to scan the waves as far as they could see. Some thought he may have been caught by a rip current and pushed further down the coast. Surely he would soon be walking up the shore toward them. He was a good swimmer and experienced with these riptides. A man could save himself in such circumstances by swimming with the current instead of fighting it. Their friend would know this, of course. While still hoping for the best, the friends did contact the authorities. Within hours there were hundreds searching for the missing man including police, navy divers, air force helicopters, and local volunteers. The search was unprecedented and was carried out diligently but with no success. After two fruitless days and thousands of man-hours authorities announced that the man was presumed drowned. The man’s wife had arrived on the scene later in the day and his two sons actually took part in the search. During the second day relatives and friends interviewed on television constructed increasingly bizarre and hopeful theories under which the man might be found alive. To this day no body or artifact has been found. To this point our story, though admittedly tragic, is not novel, nor, perhaps, even interesting. Drownings occur every day around the world. Even experienced swimmers can be overcome by currents and rip tides. Fatigue, illness, or cramps can render even the best swimmers helpless. The U.S. Centers for Disease Control says that 3,443 people drowned in this country in 2007, nearly ten people per day. The story does not meet our first criteria of interestingness. Drowning is not a unique thing. Unfortunately it is far from unique. So why do I believe this story bears interest. Well, perhaps some clues may help. Would it help, for example to know that this warm Summer day on the Pacific coast was December 17, 1967. Summer in December. Our story must take place, then, in one of those “other” countries on the periphery of the world. Already we begin to see why the story has escaped our collective interest in the United States. We can hardly be bothered to know anything about our immediate neighbors here in North America – Canada and Mexico. Would it make it more interesting to know that cheviot beach lies on a point of land just south of Melbourne, Australia. There have been brief American flirtations with Australian culture in the past. Though Paul Hogan and Yahoo Serious have long ago faded from American movie screens we still occasionally see some suburbanite throwing a “shrimp on the Barbie,” and I can hardly see someone holding a knife in hand without commenting “you call that a knife, here’s a knife.” Still, though we regard Australians as the coolest world denizens aside from ourselves, we just can’t get excited about a fairly commonplace thing happening to a bloke 9000 miles away. What if I told you that two of the five “friends” on the beach that day were bodyguards. Now the interest needle registers a blip. Regular guy drowns, big deal. Man with bodyguard drowns, our ears perk up. Still, we may not cross the interest threshold without something a bit more…. something. After all, when British Billionaire Robert Maxwell fell off his yacht and drowned under mysterious circumstances it hardly registered in the American psyche. But when Actress Natalie Wood drowned off the coast of California it was big news and big interest for weeks. Our ethnocentrism filters what we see and what we ultimately care about, as does our sense of fame. The story of the drowned Australian gentleman doesn’t hold my interest because drowning is unique, and it will probably not grab yours, either. Nor would it impress most of you if I told you the man’s name, Harold Holt. Few Americans would find that name famous enough to join the list of four or five Australians we regard as famous Australians. Who do we have? Paul Hogan, of course, although many Americans could only summon up his character name, Crocodile Dundee. Some would recognize Julian Assange’s name, now. Though I doubt many would know he was Australian. How about Rupert Murdoch. If he fell off his yacht and drowned I’m sure it would be covered ad nauseum, at least by Fox news and the Wall Street Journal. Other than a couple of musicians who gained fame in the American music market, that’s about all the Australians Americans know or care about. Still, I think you will find my story interesting because of who Harold Holt was. Without further ado let’s check the theory. 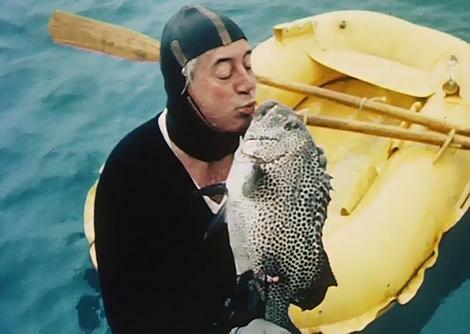 Harold Holt, the silver-haired swimmer who disappeared on Cheviot beach never to be heard from again, was the sitting Prime-Minister of Australia. This is akin to Barack Obama going for a walk in Yellowstone Park and being eaten by a bear. How could it happen? Would an American President, even in 1967, be allowed to swim alone in the Ocean without water wings, a shark cage, and six secret service agents in scuba gear dogging him into the shallows. What fascinates about this story is the “foreignness” of the whole idea. There has been much speculation and some conspiracy theories over the years about Harold Holt’s death. Some claim that he was distraught about some political scandals which might have cost him the Prime-Ministership, so he committed suicide. It was opined that he had a long-time mistress whose existence, if revealed, would accomplish the same. Some less rational explanations nonetheless gained small followings, including the theory that Holt had been abducted by aliens, kidnapped by a Chinese submarine, or killed by CIA divers. No evidence has been found to prove anything. Holt is simply gone and that is what makes this a great and interesting story.